to put the world on pause? Major Belgium publishing group De Persgroep asked us to do an image campaign for their three news websites in Belgium and The Netherlands (hln.be, 7sur7.be and ad.nl). We were obviously very flattered. Check out our concept and campaign. 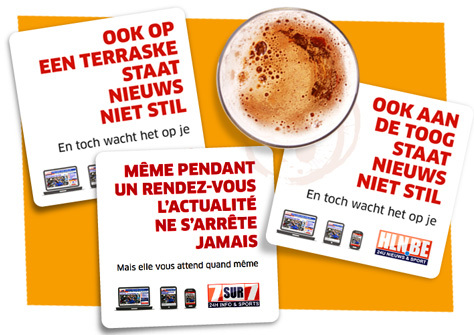 When we started working on the image campaign we wanted to communicate three major advantages of Hln’s online news hub. One: It’s constantly updated, Hln has a redaction working around the clock. Two: you can visit it whenever you want, you’re not limited by Television broadcast hours. And three: you can access it however you want. Hln.be is available on desktops, smartphones and tablets. 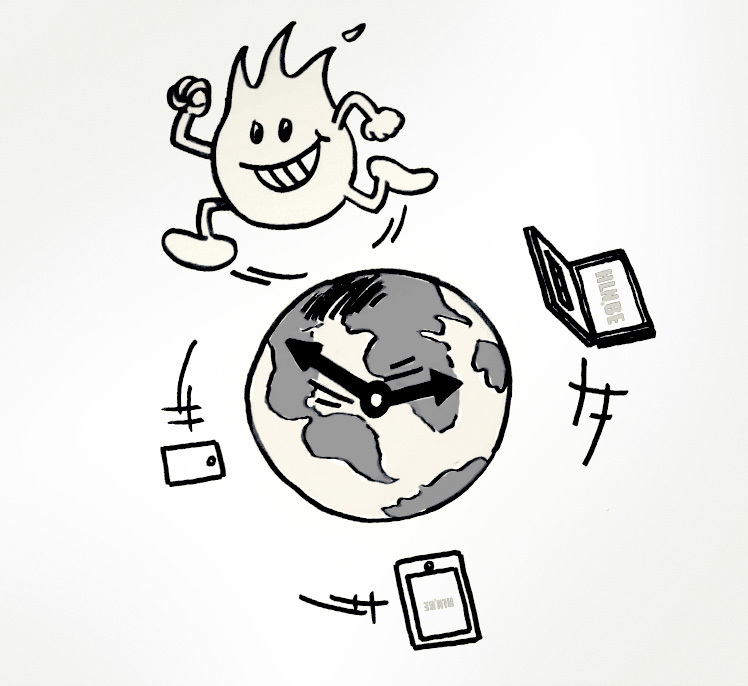 So after some serious brainstorming we came up with the concept: “News never stands still. 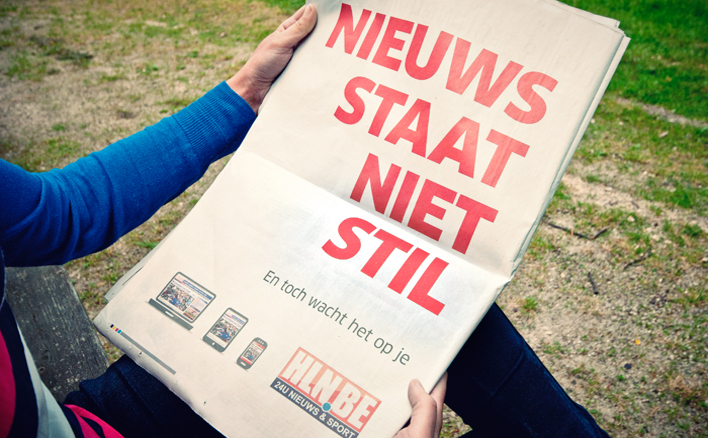 Yet it’s always waiting for you on hln.be.” (Works better in Dutch: Nieuws staat niet stil. En toch wacht het op jou op hln.be). A headline that we think captures all of the above. To explain the idea of news never standing still, we decided to show how much can happen in just a split second. So we filmed everything in slow-motion and then added a voice over that refers to the footage, but at the same time tells about things happening somewhere else. Every commercial puts one of the three main topics of the news websites in the picture: news, sports and showbiz. That way they could always use a commercial that fits the viewing audience. For example: during sports programs there was a focus on the football commercial, while for a cooking show they could air the one about showbiz. In this version of the TV campaign we show the tension built up in a split second during a politician’s public speech. The advantage of a strong headline: words say it all! “News never stops. And yet it is waiting for you on hln.be.” Probably also very confronting to read, if you’re holding a newspaper in your hand which is full of – already ‘old’ – news. To put even more emphasis on the fact that news is waiting for you everywhere, we adapted our headline to the place were the viewer would read it. This way we also motivated them to use their devices wherever they were.